The Lilly Endowment Community Scholarship is a 4-year full-tuition scholarship awarded to one local high school senior who will begin their college career in the fall of 2019. The recipient must intend to enroll as a full-time student and pursue a baccalaureate degree at any accredited public or private Indiana college or university. The 2019 Fulton County Lilly Endowment Community Scholar will be named in early December 2018. 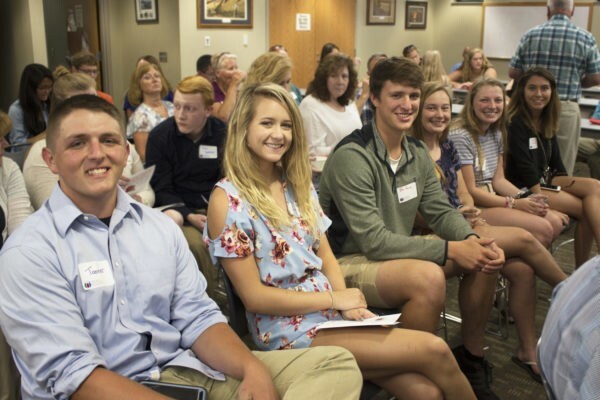 Fulton County Community Foundation’s Lilly Endowment Community Scholarship online application will be available to the public on August 1 here. The online application deadline is September 4, 2018. To be eligible to apply for this scholarship, applicants must be current Fulton County residents and a high school senior on track to graduate by the end of June 2019 with a diploma from an accredited Indiana high school. The award is based primarily on the following criteria: academic performance, service in community, work, and school, as well as application essays. A personal interview will also weigh significantly in the committee’s selection process. Applications for all other donor-established scholarships administered through Community Foundation will remain unchanged; those applications will be available December 1, 2018. The application and more information can be found here. You can also contact your guidance department or the Northern Indiana Community Foundation office at 574-223-2227 or toll free at 1-877-432-6423.